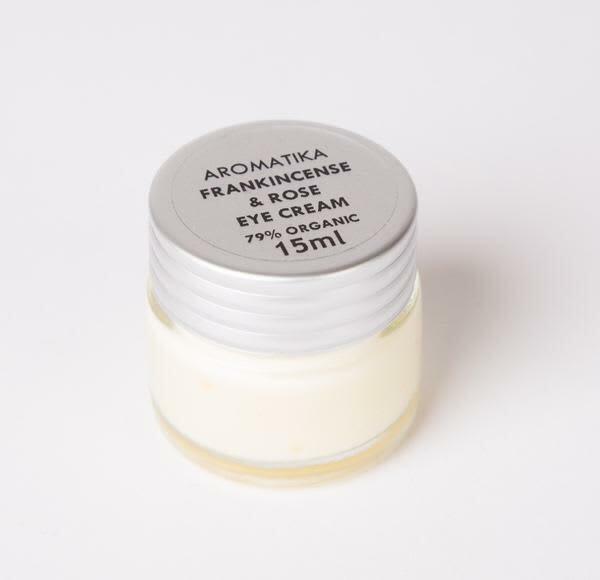 Our best selling eye cream in a new slightly larger 20ml pot. Old image available only at present, to give impression, but the new pot is larger. Ingredients including organic frankincense, rose absolute, organic jojoba, organic rosehip seed oil and more.